The mere mention of Hawaii likely conjures up images of the beautiful and fragrant plumeria flower. While they grow rampantly on the Hawaiian Islands, many are surprised to learn that they are not a native flower. The plumeria was introduced to Hawaii by a German botanist in 1860. These flowers thrived in the tropical climate and volcanic soil and even produced several new varieties. Today, you will find the exotic plumeria flower adorning the hair of Hawaiian woman as a symbol of their marital status, or in leis worn about the neck. The common name plumeria comes from the name of French botanist Charles Plumier who described this tropical beauty in the 17th Century, but its scientific name, frangipani, has a more colorful history. Some claim the frangipani flowers earned their name from an Italian nobleman who made scented gloves in the 16th Century. Because the fragrance of the plumeria bloom was similar to the scent used in the gloves, they soon became known frangipani flowers. However, others claim the name was derived from the French word, frangipanier, meaning coagulated milk because of the appearance of plumeria milk. 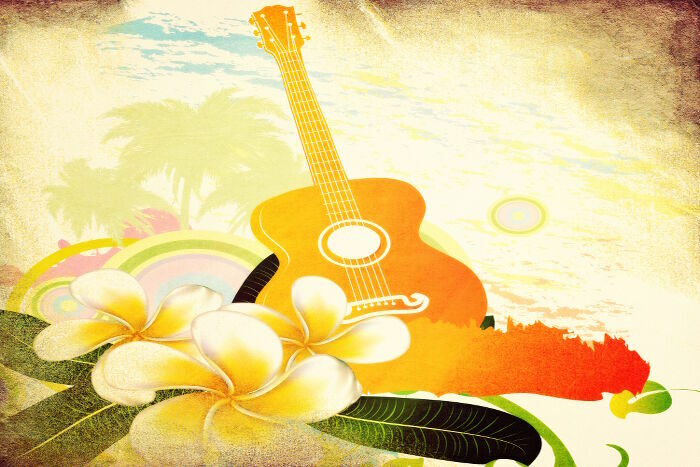 The plumeria flower symbolizes different things in different cultures, although all are uplifting meanings. In the Hawaiian culture, the plumeria symbolizes positivity and is used in leis or to celebrate special occasions. 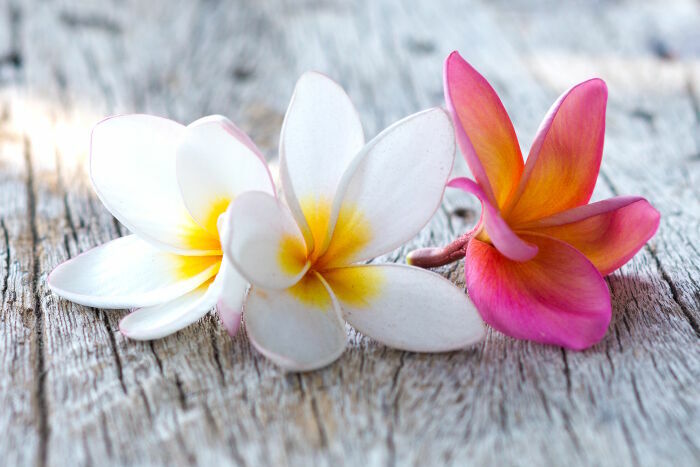 When worn in the hair, the plumeria flower symbolizes the relationship status of the wearer. A flower over the right ear means she is available while one over the left means she is taken. 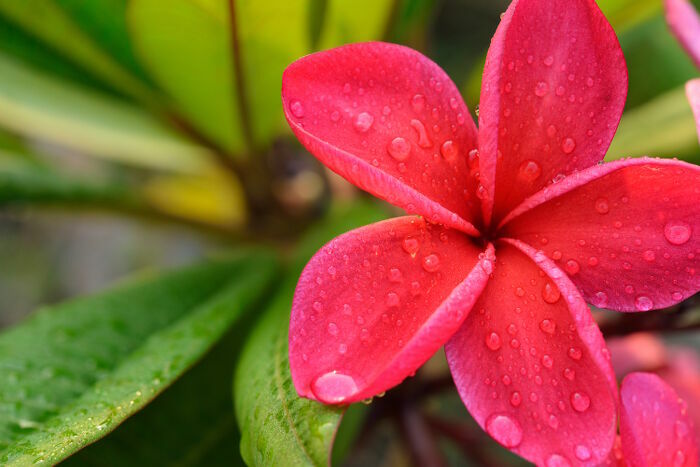 Plumeria represents dedication and devotion in the Hindu culture. In the Buddhist religion, the plumeria symbolizes immortality, probably because the tree will produce new blooms even after it is uprooted. 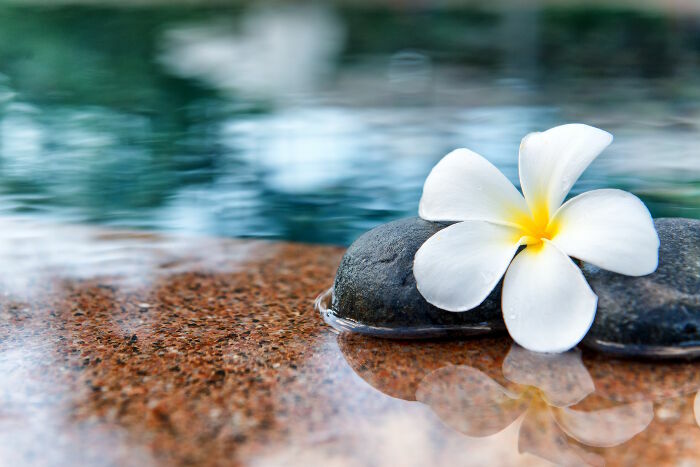 In Laos, the plumeria tree is considered sacred – so sacred that they are planted outside every Buddhist temple. These trees live for hundreds of years. In the Mayan culture, the plumeria bloom represents life and birth. According to Mexican legend, the plumeria flower gave birth to the gods. The plumeria flowers grow on a plumeria tree. While some tropical varieties can reach heights of 30 feet or more, some are smaller. The blooms contain five waxy petals in a range of colors from pure white and yellow to deep reds, pinks and several sunset varieties. The center or eye of the flower is often yellow, creating a striking contrast to the petals. Yellow plumeria flowers tend to last the longest when cut, with the white flowers being the shortest lived. 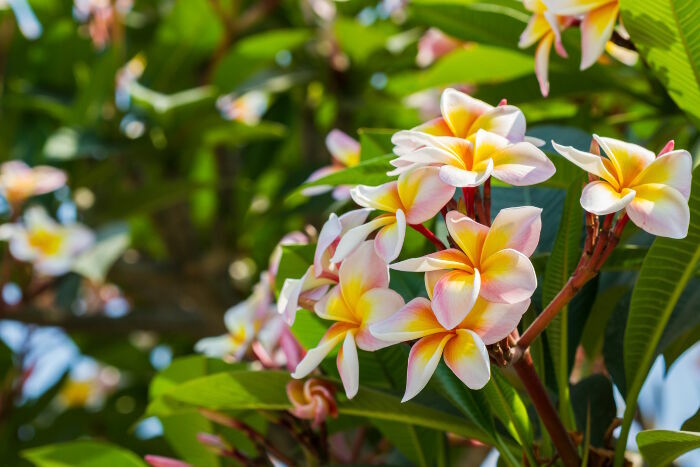 Hawaii is the major supplier of plumeria flowers, trees and seeds. In the ancient Indian healing science of Ayurveda, the oil of the plumeria is considered a warming oil and is thought to be effective in treating fear, anxiety and insomnia. It is also used to treat tremors. 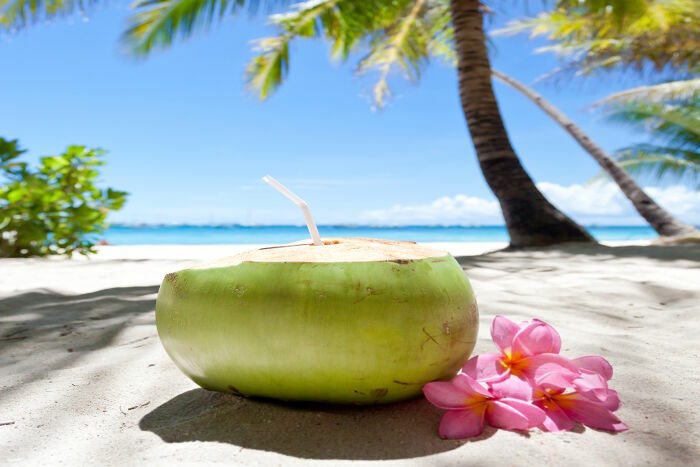 The Vietnamese people believe the plumeria has healing powers and use it to treat skin inflammations. It is also used to treat high blood pressure, coughs, dysentery, hemophilia, indigestion ad fever. Essential oils made from plumeria are reported to be an effective conditioner for both the hair and skin. 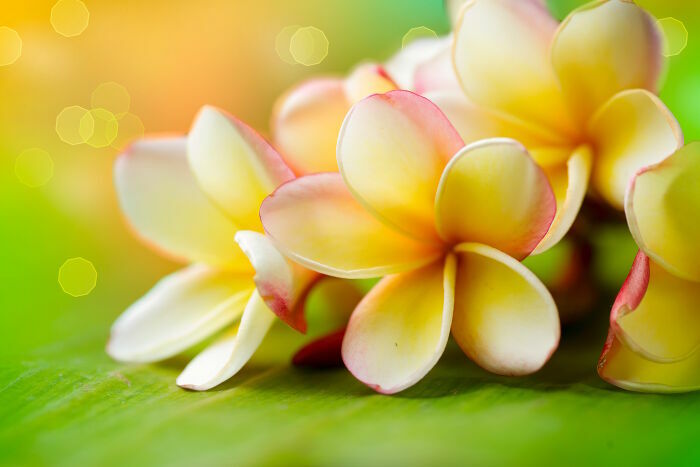 As massage oil, plumeria relieves inflammation and pain associated with back problems and headaches. 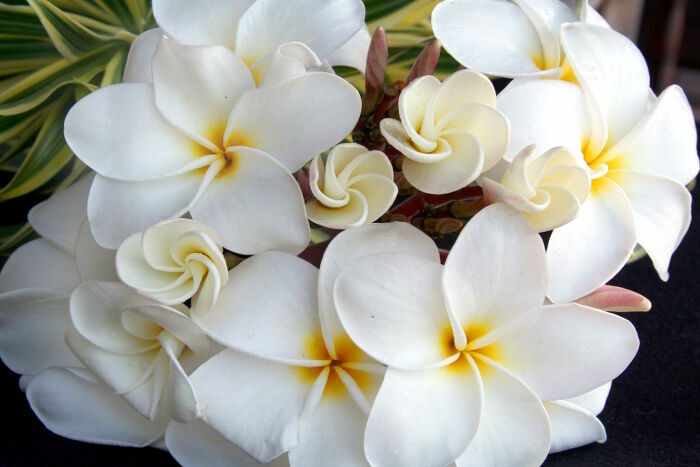 In addition, the scent of plumeria is thought to relieve stress and anxiety and elevate mood. It is also thought to promote sensuality. It should be noted that although the oil is safe to use directly on the skin, pregnant women, children and infants should not use it. 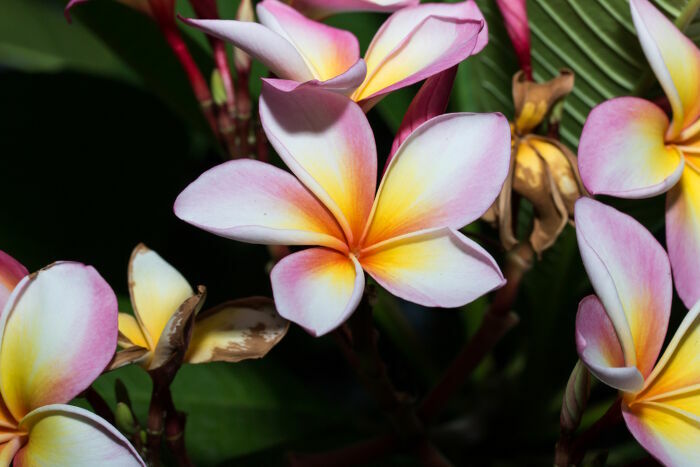 The plumeria flower’s message is one you won’t soon forget, especially if you travel to the Hawaiian Islands. This exotic beauty speaks to the heart and uplifts the spirit with its bright colors and intoxicating scent. Give the love of your life plumeria to make a lasting impression. It is also Nicaragua’s national flower since 1971 and its local name is Sacuanjoche, it can be seen decorating altars in many religious celebrations. It’s Laos’ national flower too! Love the explanations of the plumeria. Can i have permission to make an invitation for a friend.